Kat and Karl : Job Interviews! Doesn't this picture just scream HIRE ME!! I AM PROFESSIONAL!! She will have a third interview at the end of the month in Dallas and hopefully they will offer her the position. They will. She is just that hot. 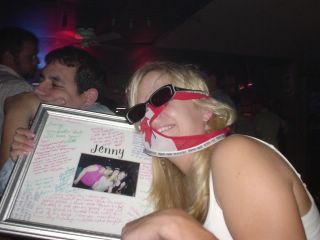 Wonder if I should show them this photo from her going away party in Tulsa. Wonder what they think about OH CANADA? I don't even know her, but I like her.